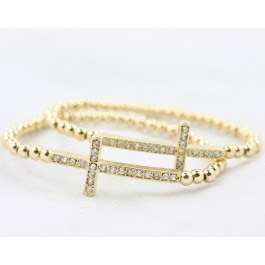 This cross bracelet from Jennifer Zeuner retails for $187 at Shopbop. Tai also has a version which retails for $105 at Neiman Marcus. Inspired by both of the bracelets above is an affordable version from Mimi's The Look for Less, retailing for $12. Click HERE if you're interested in purchasing.